Trimble Business Centre (TBC) is multi-faceted, next generation software with application through all stages of a project – from control surveys, cadastral surveys, topographic detail, through design, as-built and maintenance. TBC has a strong survey focus which provides the platform to bring the right data together for your client. Our TBC support team is made up of survey professionals who understand survey processes. This means we understand surveying challenges and can offer current solutions. Leverage the full Trimble advantage and grow your business through Trimble Business Centre. Trimble 3D scanning software allows you to integrate 3D point and survey data to Extract measurements, Generate deliverables and Utilise inside 3D CAD software. Trimble RealWorks is specifically designed for point cloud processing and analysis. The software provides a complete solution to efficiently register, analyse, model and create deliverables using data from virtually any source. 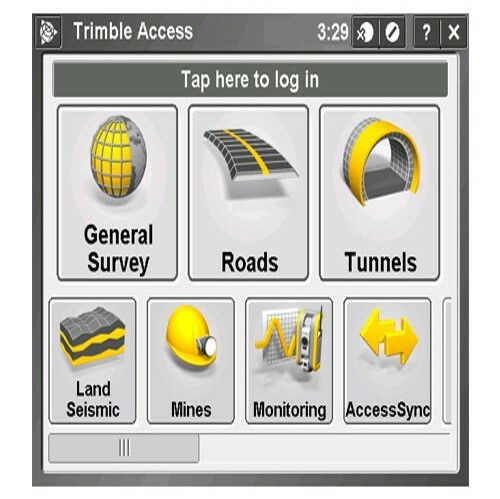 Designed to support your everyday work, including topographic surveys, staking, control, and more; Trimble Access offers a familiar, easy-to-use interface that will ensure your instant productivity— you’ll experience less of the typical downtime associated with learning new software.